Planet Drum Foundation, an ecological educational 501(c)(3) nonprofit, seeks to enhance the intimate connection between people and their life-places. 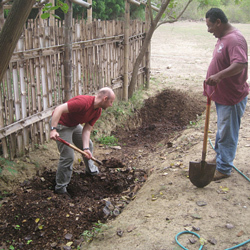 Volunteers work mornings Monday through Friday (approximately 20-25 hours/week) on projects related to the Dry Tropical Forest Revegetation and Bioregional Education Project. a) Greenhouse work: planting/transplanting, mixing soil, preparing compost, watering, weeding, etc. b) Implementation (socialization, construction, and operation) of new "mini-greenhouses" in strategic community locations to better integrate locals into the project.  c) Hillside revegetation planting and site maintenance. d) Conducting bioregional education workshops with local residents. During the afternoons and weekends, volunteers are free to explore the town of Bahía de Caráquez, practice Spanish and visit surrounding beaches, mangroves, and forests. $100/month for accommodations at the Planet Drum house includes a space at our beautiful, beach-front house with private yard. 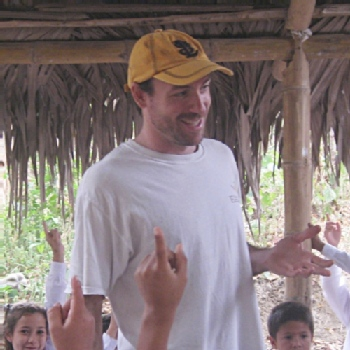 Volunteers stay with the Ecuador Program Director and his family (Ecuadorian wife, children 7 and 2 years old, and three dogs) in a communal living environment best described as an international home-stay. Accommodations include access to a full kitchen, internet, laundry, bicycles, and drinking water. Volunteers are responsible for their own food expenses and can expect to pay between $100-$200/month on food. The local food market with excellent fresh vegetables, tropical fruits, meat and fish is open daily and is only a 5 minute bicycle ride away. Volunteering is free. Accommodations at the Planet Drum house cost $100/month. Volunteers are responsible for their food expenses. Volunteers have a wonderful opportunity to explore, swim in the Pacific Ocean, and get to know the Ecuadorean culture and people...and it's all FREE. 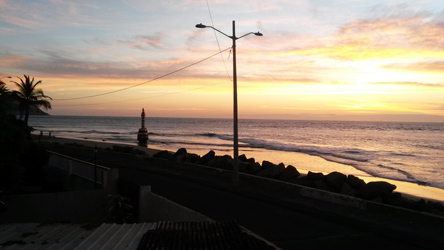 69 Calle Virgilio Ratti, Bahia de Caraquez, Ecuador. 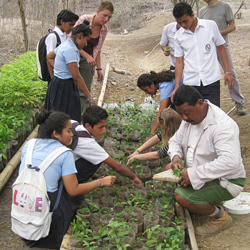 This is a low-cost a opportunity for independent volunteers to work with an ecological non-profit in the small coastal city of Bahía de Caráquez. 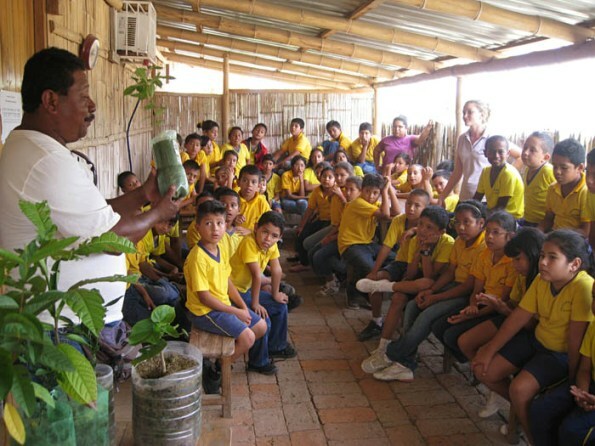 Experience life in Ecuador as a local (not a tourist) and assist with long-term ecological projects related to community-based forest restoration and bioregional education. 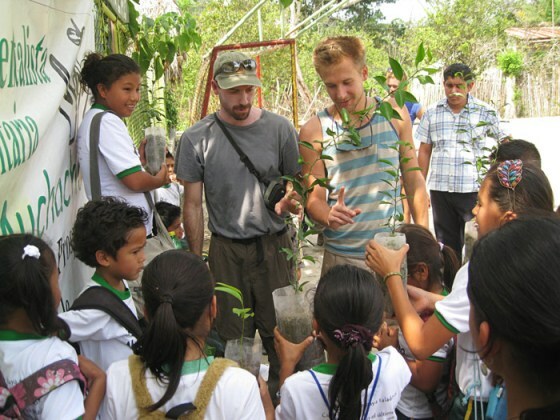 Previous travel-abroad experience, Spanish language skills, and a passion for the environment are all highly recommended. 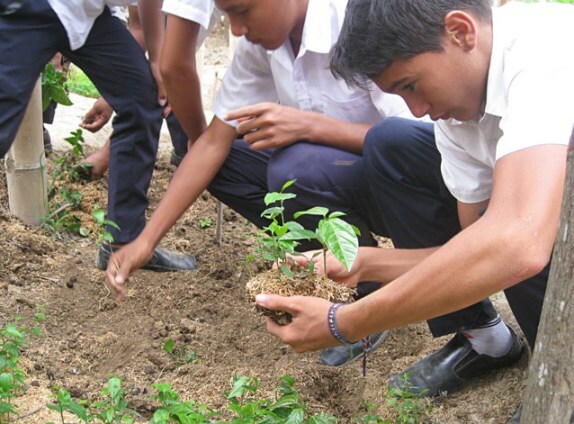 Planet Drum Foundation is seeking independent volunteers for its Ecological City projects in Bahia de Caráquez, Ecuador for durations of one month to three months or longer. 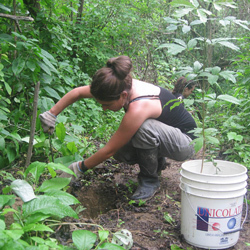 The projects are year-round, and we are always looking for help in furthering our bioregional mission. 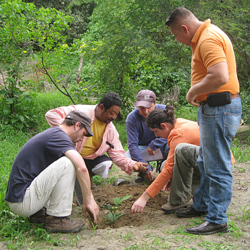 Planet Drum Foundation was founded in San Francisco, CA in 1973 to provide an effective grassroots approach to ecology that emphasizes sustainability, community self-determination and regional self-reliance. In association with community activists and ecologists, Planet Drum developed the concept of a bioregion: a distinct area with coherent and interconnected plant and animal communities, and natural systems, often defined by a watershed. A bioregion is a whole "life-place" with unique requirements for human inhabitation that enable people, plants, and animals to live together sustainably. Planet Drum researches, promotes and disseminates information about bioregions. Through its projects, publications, presentations, and workshops, Planet Drum helps start new bioregionally oriented groups and encourages local organizations and individuals to find ways to live within the natural confines of bioregions. We believe that people who understand and care about their life-places will work to maintain and restore them for long term inhabitation. We at Planet Drum Foundation would love to hear from you!